Whether it's a chair or an end table, your favorite piece of furniture is probably the one most in need of a fix-up. Here's how to repair it the right way so you won't have to do it over again. When furniture fixes fall apart, it’s usually because the tools and supplies weren’t right for the job. Always remember to read the label before you stock up on glue, nails, or sandpaper for your next repair. Adhesives can take anywhere from a few minutes to a day to set and harden, so it’s a good idea to do a little research before you buy. Steer clear of epoxy glues— the bonds they create are basically permanent, so you’re truly stuck if need to disassemble the piece again. And while you might think using screws is a good idea, it’ s usually not. Unless you’re replacing one that was there before, you could damage the wood. 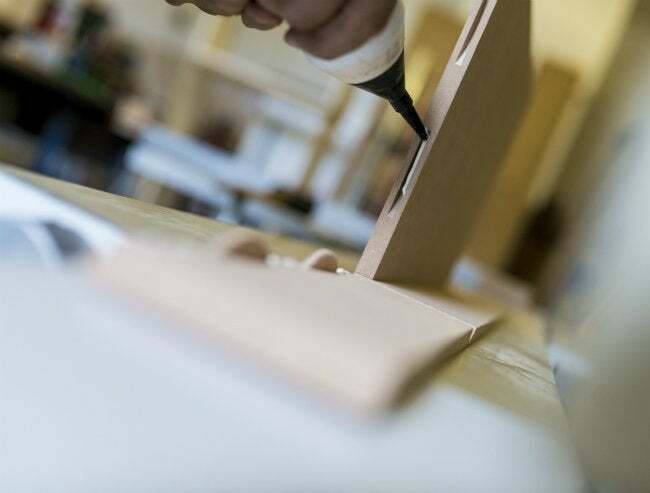 Avoid nails, angle irons, and mending plates and stick to dowels, splines, and wood glue for repairs. To tighten up a loose joint (like a wobbly chair spindle), try wrapping the wood in cotton thread or wood shavings before applying adhesive. And remember—for the strongest bond, remove any old glue before you get to work.